Bell grows frustrated when Marshall Winthrop, Conrad’s dad and new chairman of the board, requests Conrad’s input in his discussions about the hospital’s expenses. As Conrad and Nic work to cut costs for their patients in need, Julian Lynn, a sharp and sophisticated medical device rep, meets the staff at Chastain and inserts herself into the ongoing work of the doctors to promote her costly products. 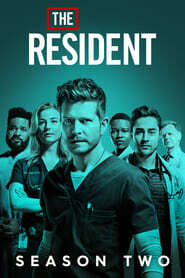 Meanwhile, Mina’s relationship with Micah struggles in the wake of his healing process, and Devon is tasked with showing the eager new interns around the hospital.